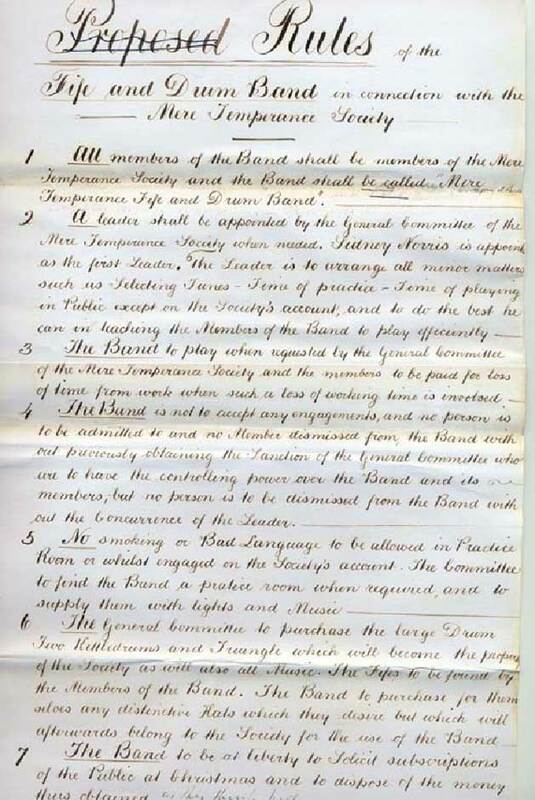 A handwritten copy of the rules of the Fife and Drum Band of Mere Temperance Society, 1874. 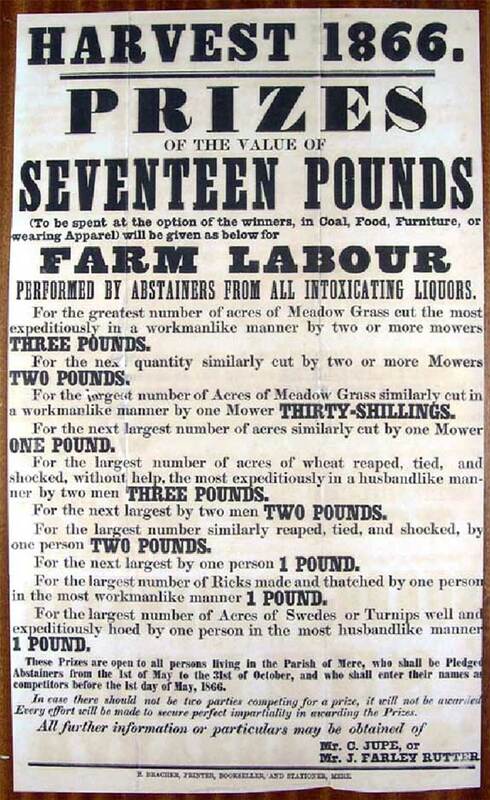 A copy of a poster advertising a mowing, reaping and harvesting competitions open only to total abstainers, with a list of prizes, to be held at harvest time, 1866. 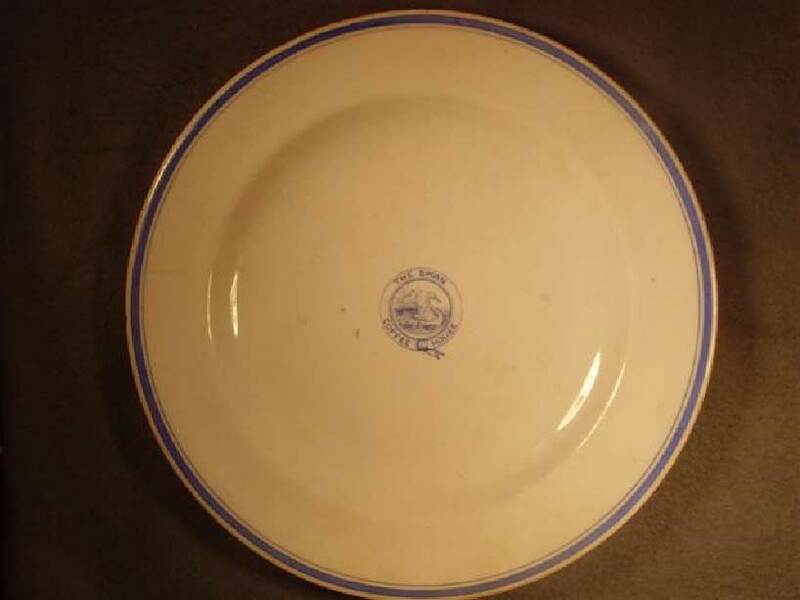 A white china plate inscribed ‘The Swan Coffee House, Mere’, late 19th century. 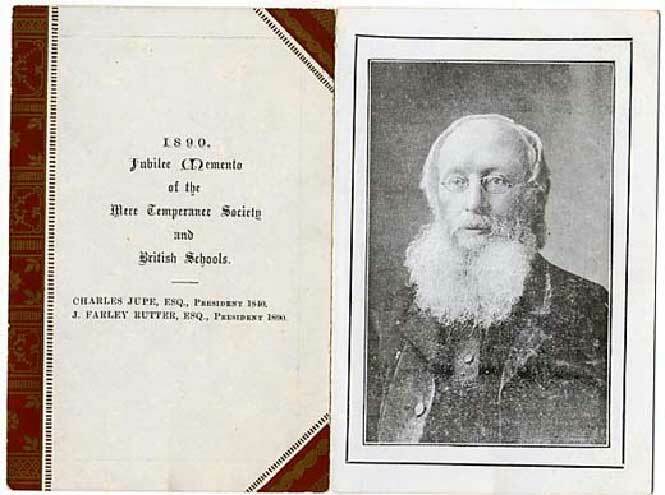 The Coffee House was run by Mere Temperance Society in Salisbury Street after John Farley Rutter purchased The Swan Inn opposite The Lecture Hall in 1862 and converted it into a dwelling house, two cottages, a Coffee House and a Reading Room. The former Coffee House is now the office of Gilyard Scarth. 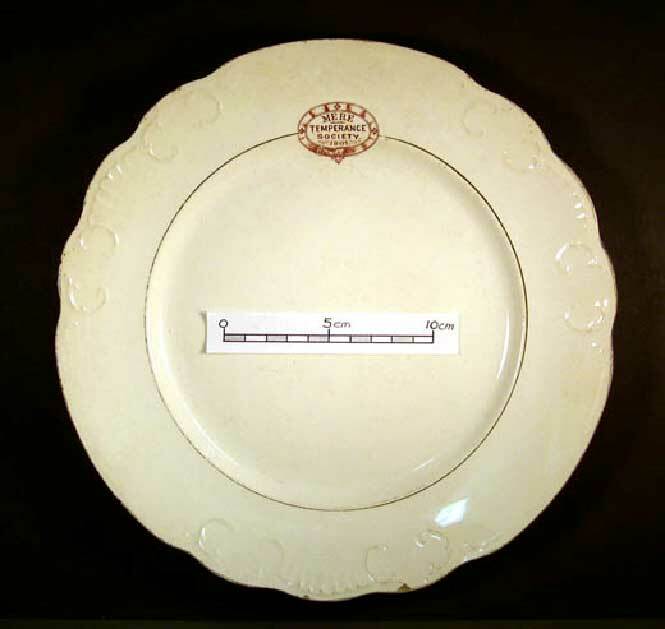 China plate inscribed ‘Mere Temperance Society’, 1901. 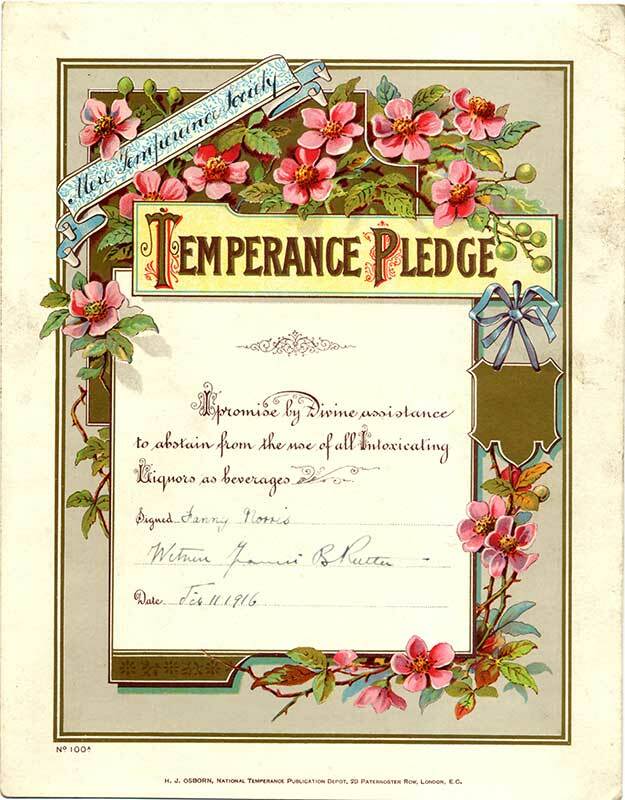 A booklet issued to mark the golden jubilee Mere Temperance Society and British Schools, 1890. The picture shows a portrait of the Society’s founder, John Farley Rutter. 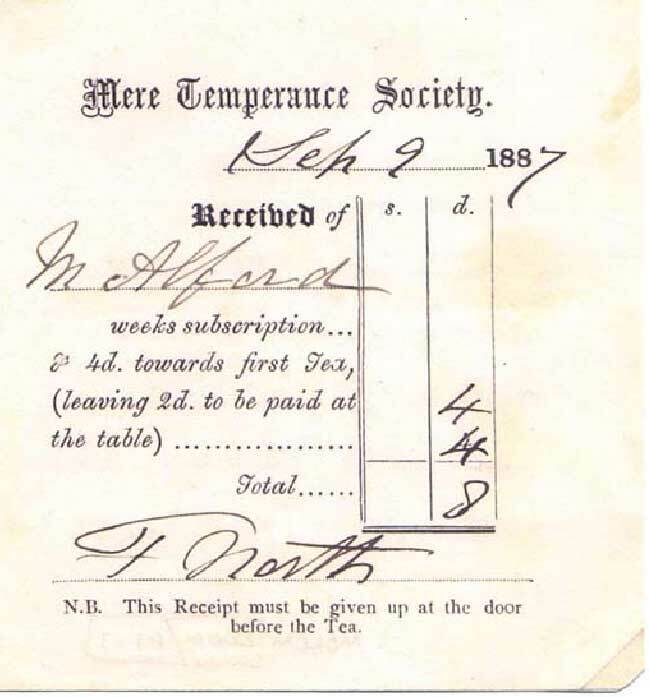 A copy of a receipt for 8 (old) pence issued by Mere Temperance Society to M.Alford for a week’s subscription and tea, dated 1887.